Things have been pulled pork everything lately, but who can complain? Having pulled pork means more variety and deliciousness! Here's why pulled pork Is the greatest #FoodTrend To date. Toasted corn chips layered beneath simmered spicy pork, melted cheese, jalapenos and sour cream. GET IN MY MOUTH. This is a snack for any time of the day. We'd have this every day of the week if we could. Seriously. Full recipe here. Pulled pork + glazed doughnuts = HEAVEN. Get the recipe here. Forget chicken dippers and potato skins - it's all about pulled-pork-stuffed pretzel rolls girls. Here's how to make them. We take our pizza seriously and this is a serious pizza. Pile it up with your favourite toppings! Get the recipe. Crunchy rolls stuffed with pork? They'll take your taste buds to México! Nom nom. Here's how to roll'em up. The fusion of our two favourite things, Italian and Pork. The greatest. Here's how to make it. 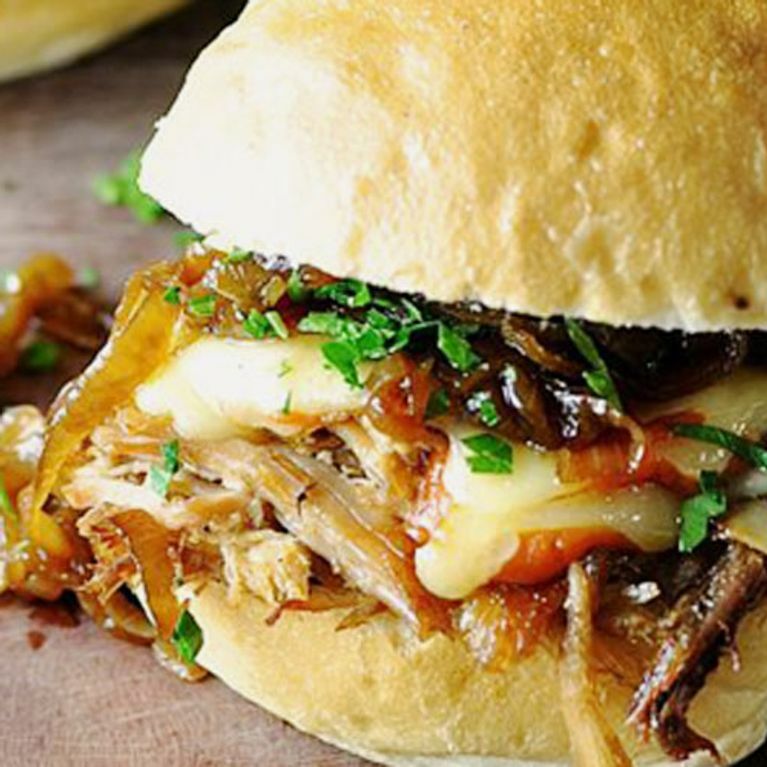 Leftover french bread, pulled pork and your fave melty cheese. Yum. Get the recipe. Who said you can't have pork and spaghetti in one? It goes in everything! Here's what you do. Too good to eat pies? NEVER. Own this recipe, here's how. Sometimes we wish we were Mexican. Here's how to make these to-die for rolls. The best Southern food classic we've ever seen. We. Want. One. Now. Get the recipe. A warming bowl of soup in winter never goes amiss. Get the recipe. Yep. They're even better to eat. Did we mention it was gluten free? Get the recipe. Only rednecks know how to make buttery biscuits into pork stuffed handfuls of herb laced beer breaded goodness. Here's how to do it. The god of all comfort food: THE CUBAN. Get recipe here. How do you use your pork? Tweet us @sofeminineUK! A Chocoholics Guide To Chocolate Recipes!